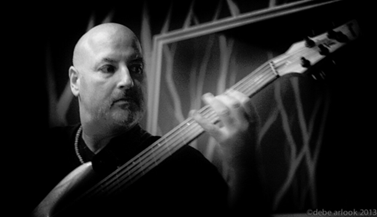 David Hilton is one of the leading bass players on the Los Angeles jazz scene, and is travelling to the UK especially to take part in the Continuum of Selves project. He is a graduate of Berklee College of Music, where he performed regularly with James Tartaglia, while studying with Bruce Gertz, Eddie Tomassi, Hal Crook, Gary Willis and Rufus Phillpot. He has performed / recorded with Danny Carrey (Tool), Doug Webb (Freddie Hubbard, Brian Bromberg) Antonio Sanchez (Pat Metheny, Gary Burton), Joel Taylor (Allan Holdsworth, Frank Gambale), and Dela and Rymo of Slightly Stoopid.